What in the heck is it about kids in p.j.s? I mean, we always think Arle looks cute, but when she’s chillaxin in her “j’s” Trav and I can’t seem to refrain from talking about how stinkin’ cute she is. 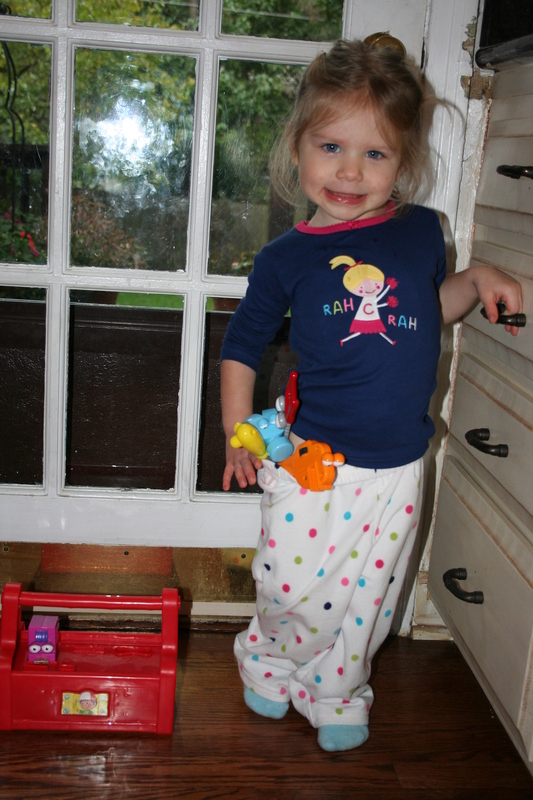 Here she is last week when she was using her Handy Manny tools to work on the drawers in the kitchen. 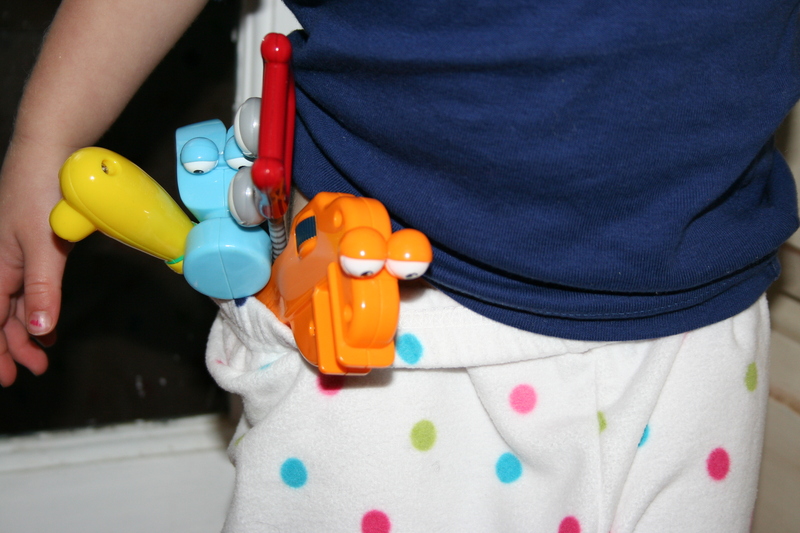 She decided it was much easier to keep the tools in her “pocket” than her tool box. 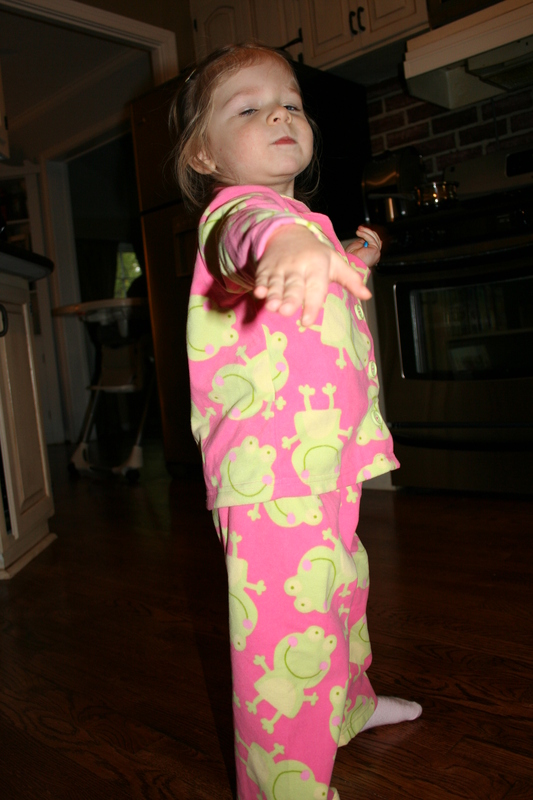 Later in the week, she was wearing her new frog j’s. She woke up super weepy that morning, so when I pulled out the ol’ camera to shoot some pics of her j’s, she immediately fell to pieces. 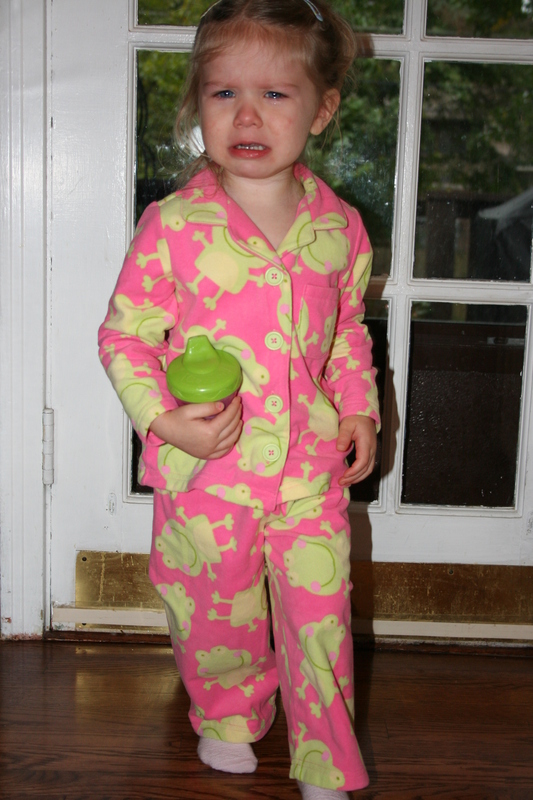 But then, just like any good mother would do, I bribed her with gummy bears and she turned her frown upside down. 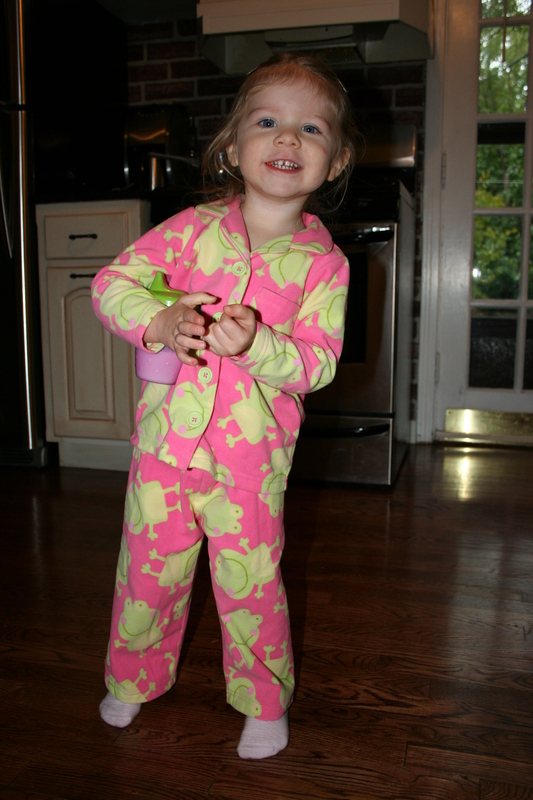 Funny how easily her mood swings when gummy bears come into the picture. Just look at the transformation that took place. She is precious even when she wakes up teary. I wish gummy bears would have that effect on Morgan. so so so cute. love the bountiful amount of tools coming out of one pocket. you will never know how many tools can fit in a pocket until you try. You need to get her a tool belt! So glad to see some new photos of little sweetie!!!! 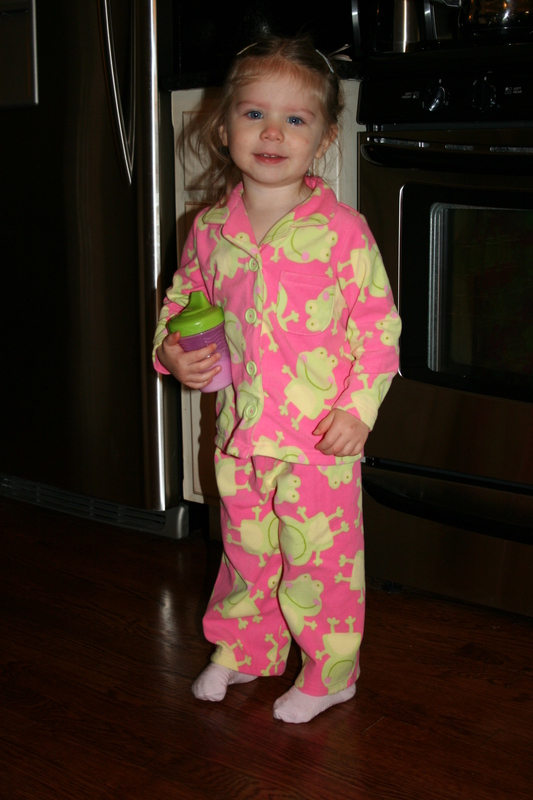 I must send more gummy bears, it must be like her morning coffee!! Love to you both!!! 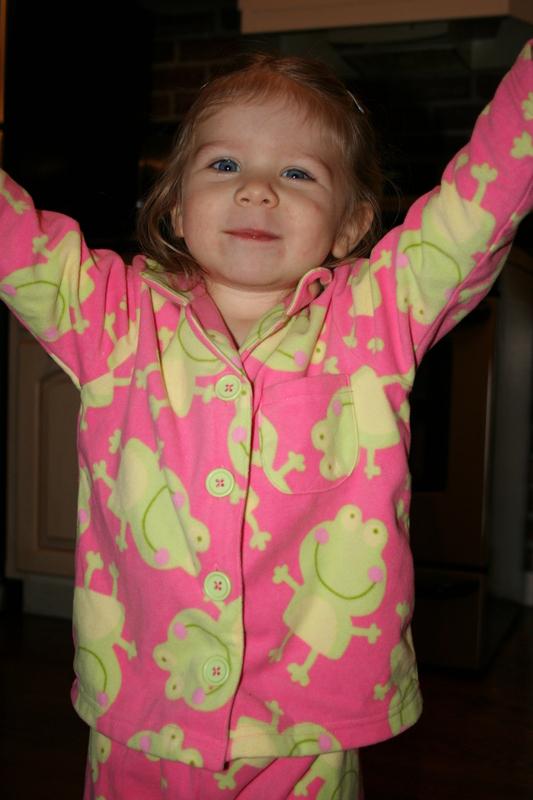 i second the adorableness of the jammies. 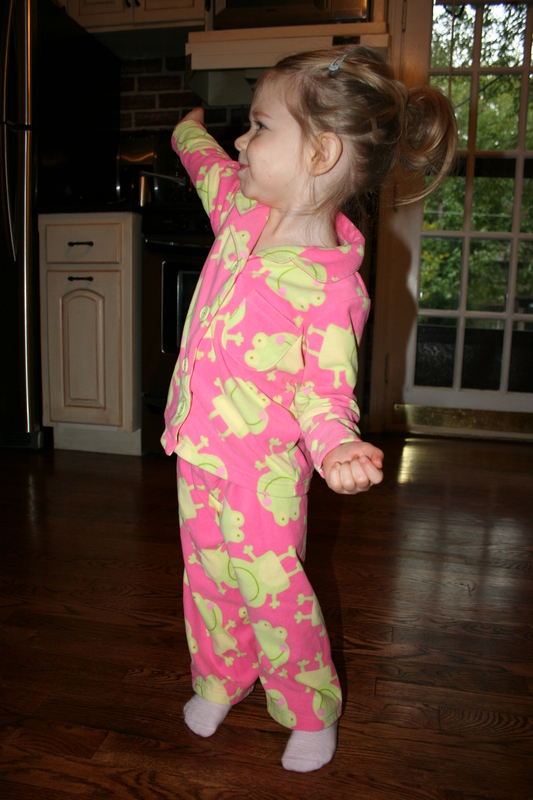 i can’t even stand it, i just want to explode with adoration for kids in pj’s. arle is no exception! her poses only add to the cuteness.